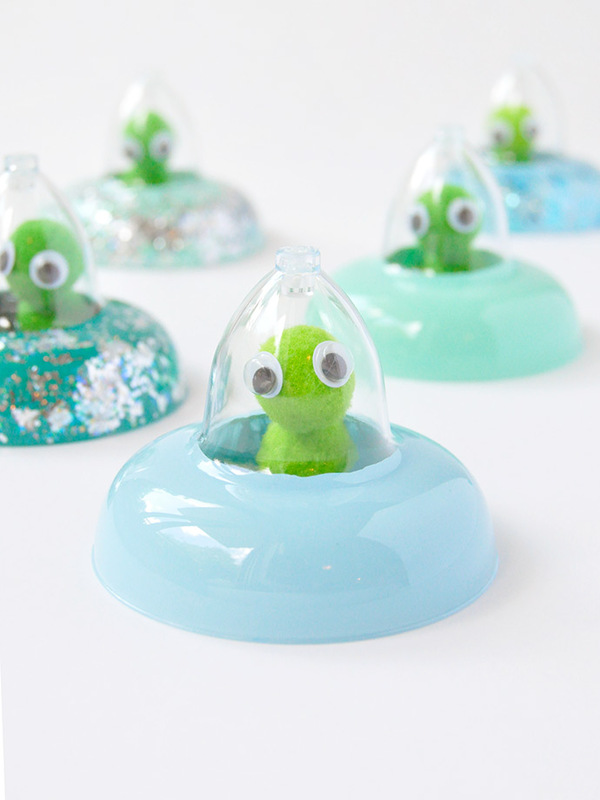 We had fun using small pom poms to make these cutie little aliens to drive the flying saucers around. If you want a human passenger instead, you can glue a little toy into the cup instead! We went with these fun pastel shades of blue and aqua for most of the ships. 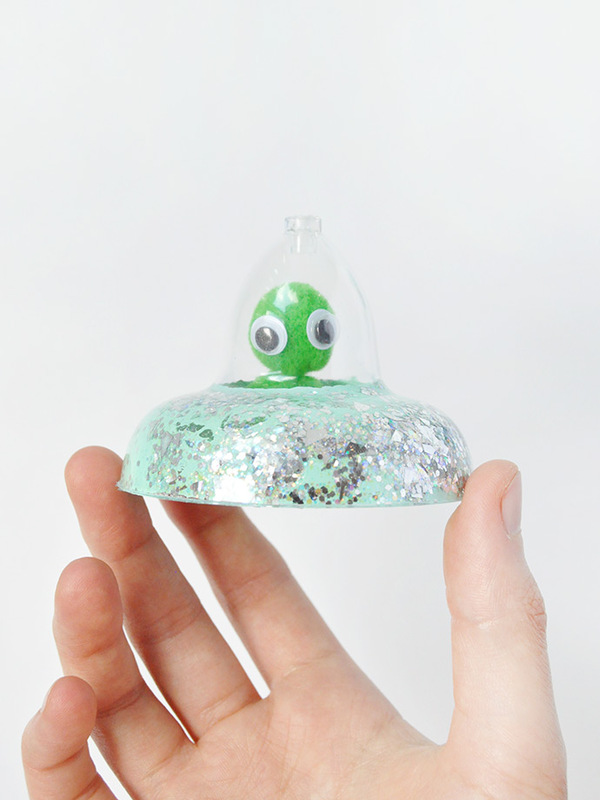 We also had to try out some Glitterific too – it was a great way to add a metallic, futuristic touch to the saucers. 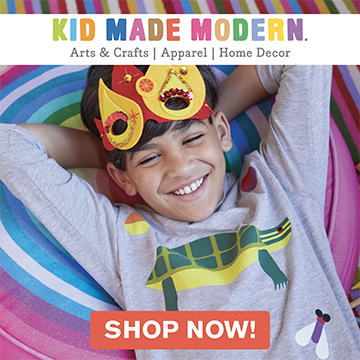 Looking for even more out of this world crafts? Sew your own silly alien beanbag game, make this giant painted moon cake topper, or how about baking this mutant bunny cake? So much fun! You’ll be all ready for the ultimate outer space-themed party! 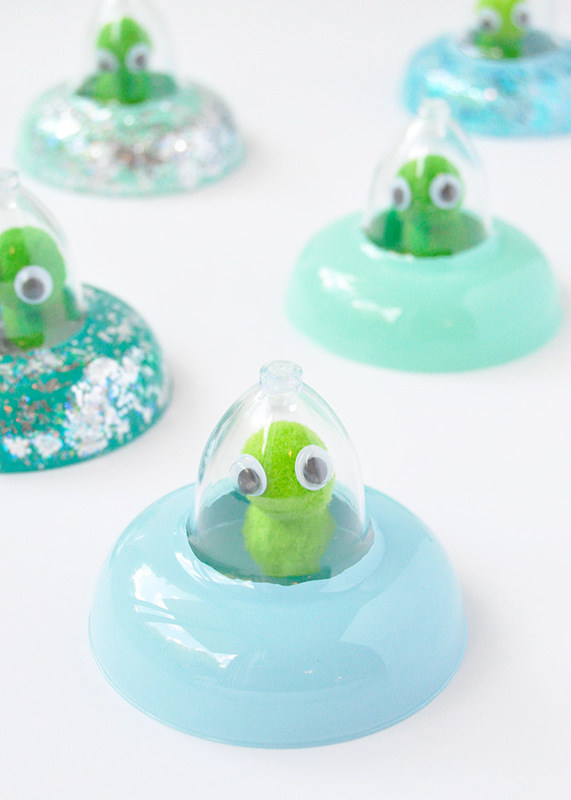 Keep reading to see the full tutorial for these flying saucers below. Arrange the margarita cups on your work surface. 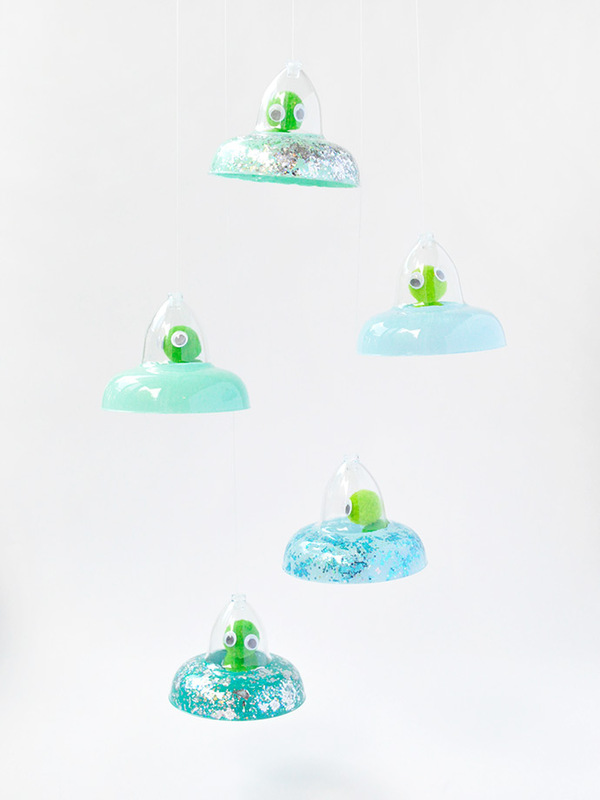 You’ll need the type that has a removable stem/base so that you can only use the tops as shown above. Paint the inside of the cup, stopping at the bend – this will stay unpainted to be the glass dome where the alien sits! 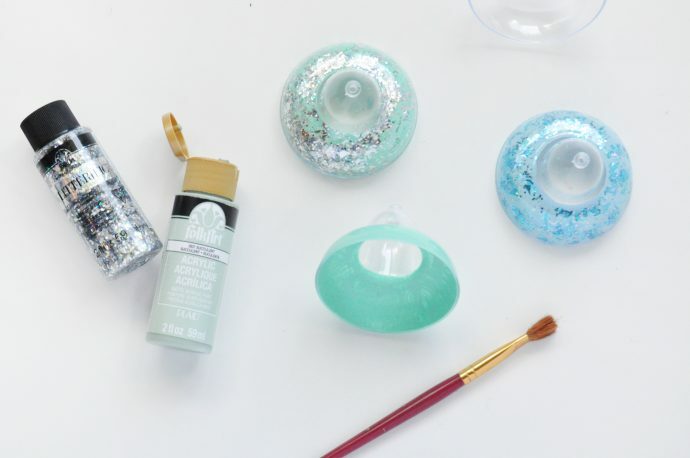 We used both regular paint and Glitterific paint for these futuristic colors. 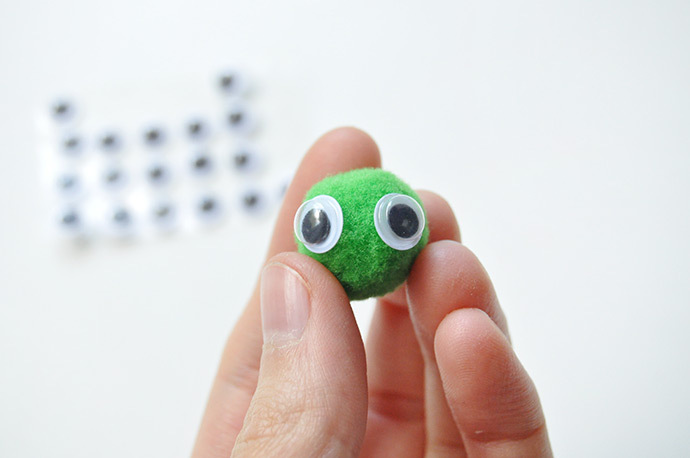 While the saucers are drying, stick two small googley eyes onto a green pom pom. If your googley eyes are adhesive-backed, use a tiny dab of hot glue to attach them on. Use a dab of hot glue to attach the alien head into the cup. 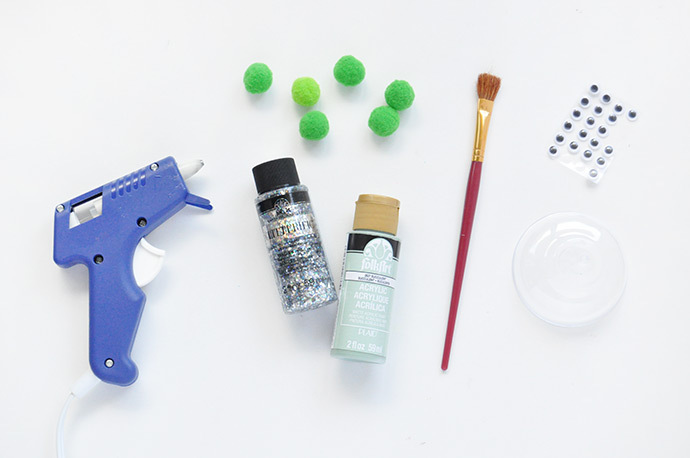 Glue one more plain pom pom below it as the alien’s body – you may not need to do this step, depending on the size of your pom poms and margarita glass. You can also use different colored pom poms if you want for multi-colored aliens from a rainbow planet far far away! 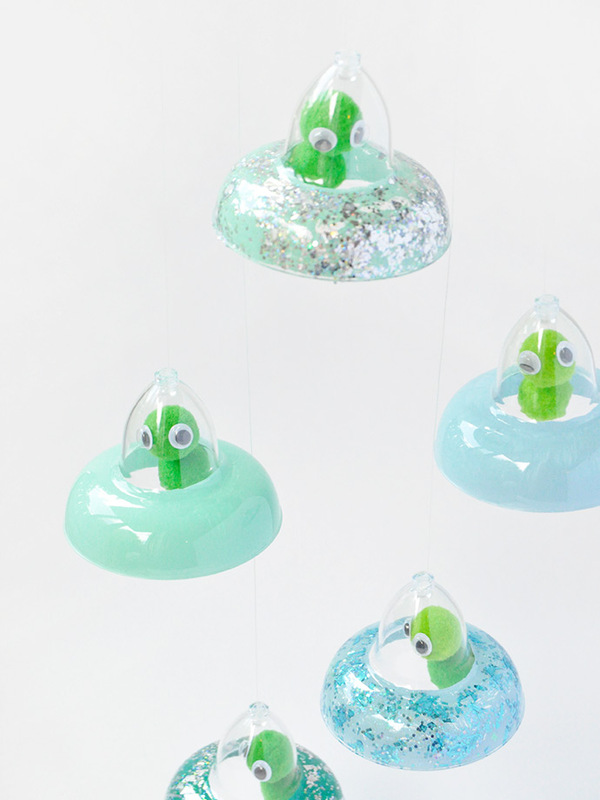 Optional: cut a piece of thread and hot glue to the top of the saucer if you want them to be hung. If you choose to attach your flying saucers onto thread, attach the other end of the thread to a wooden dowel and kids will have a blast flying these saucers all around the house. Or, attach them onto a blank embroidery hoop to make a silly mobile. You could even paint some ping pong or styrofoam balls to look like planets and hang those up too! And while you’re painting planets, check out this DIY painted solar system necklace – the best!